Not a SCENE Member? Join for FREE today. Carry your SCENE card on your mobile phone and you’ll never forget it at home again! Download the SCENE app for FREE now! 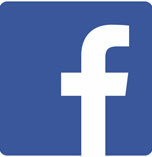 "Like" SCENE on Facebook for the latest updates and more chance to win free movies! Go now! SCENE® members now earn & redeem more SCENE® points for premium movie experiences. 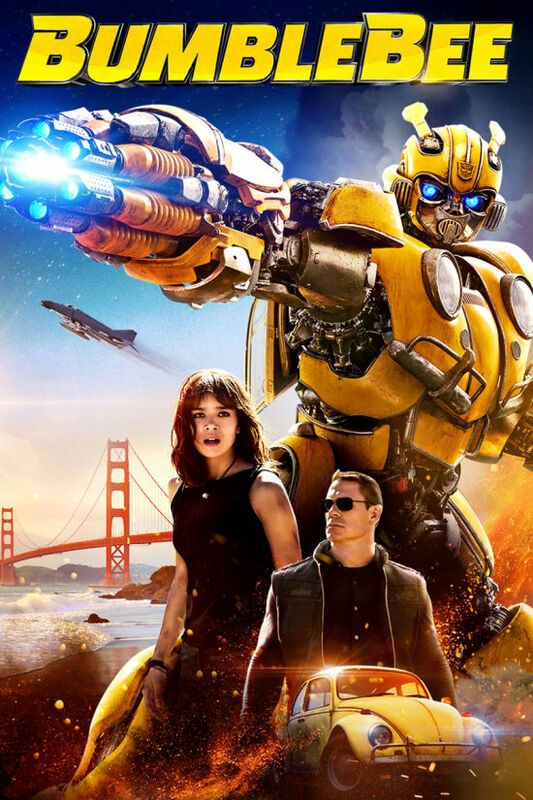 General Admission or 3D Movie Ticket 125 pts. 1,250 pts. Enhanced Movie Ticket (Where available: UltraAVX, IMAX, D-Box) 200 pts. 2,000 pts. VIP Cinemas Movie Ticket 250 pts. 2,500 pts. As a SCENE member, you get 10% more off Tuesday tickets and even more points with new SCENE partners. 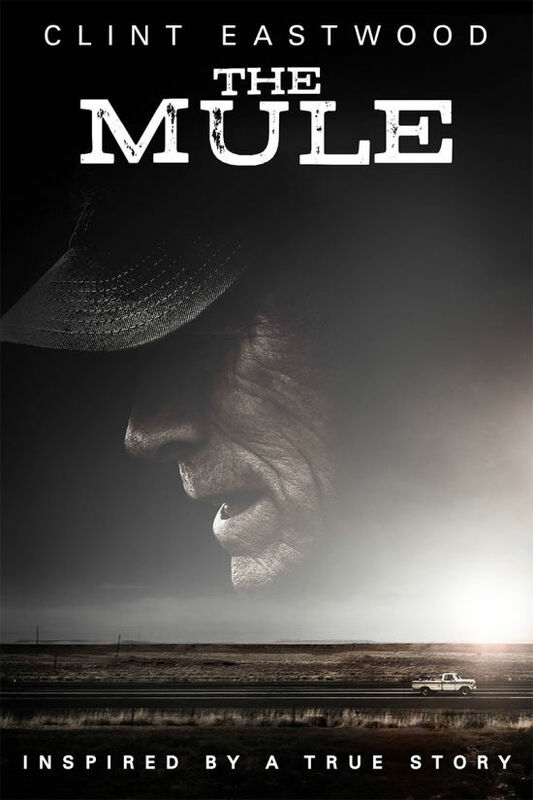 FREE movies, meals, and more! 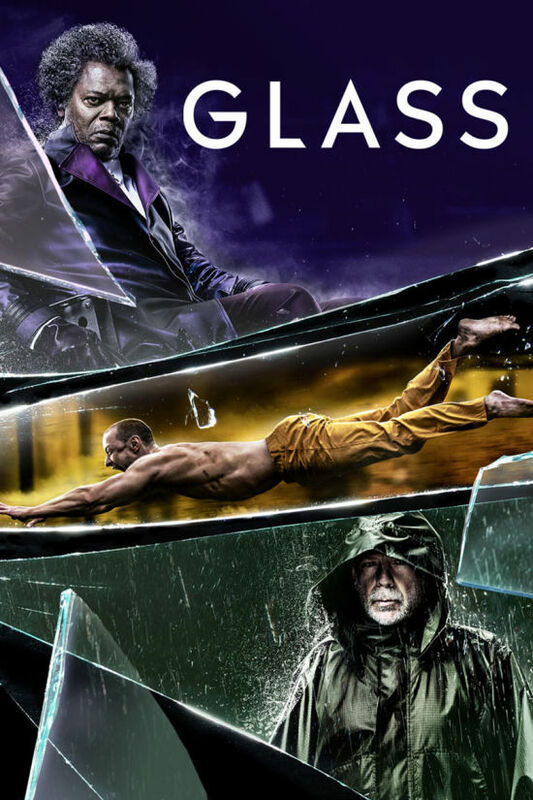 Earn free movies even faster! Earn SCENE® points on all your everyday purchases when you use your SCENE® debit card® and SCENE® Visa* card. It's the fastest way to earn points for FREE movies and more! Earn 1 point for every $5 you spend on everyday purchases made with your SCENE® debit card. Earn 1 point for every $1 you spend on everyday purchases made with your SCENE® Visa* card. Plus Earn 5X the SCENE® points on purchases made with your SCENE® debit card and SCENE® Visa* card at Cineplex Entertainment theatres® . ®Registered trademarks of The Bank of Nova Scotia. ®*Registered trademark of SCENE® IP, LP, used under license. *VISA Int./Lic. user The Bank of Nova Scotia.†Interac, Interac Flash and Pay in a flash are trademarks of Interac Inc., user The Bank of Nova Scotia. 8Discount applies to the full purchase price (excluding taxes) and excluding Tim Horton's and alcoholic beverages. *SCENE® members who present their membership card or enter their membership number at the time of transaction will receive a 10% discount on the purchase of admissions, valid for performances on Tuesdays only. Maximum 6 tickets. This offer is valid for the purchase of admission tickets only and cannot be used in conjunction with any other discount, passes, coupons, vouchers, pre-purchased tickets, SCENE® point redemptions or any other admission offer. Offer is subject to change or may be withdrawn at any time, without notice. ±SCENE® points are awarded for debit purchases transactions and Interac Flash† transactions from an eligible account using your SCENE® ScotiaCard®. 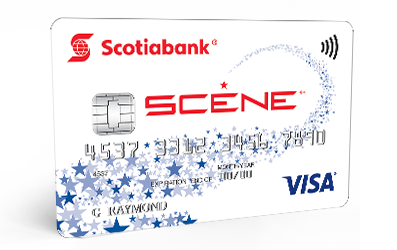 SCENE® VISA cardholders will receive points for purchases made with their SCENE VISA card. 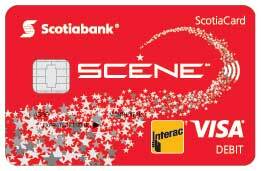 Points accumulated using the SCENE® ScotiaCard and/or SCENE® VISA card will be updated within 2 - 3 business days. 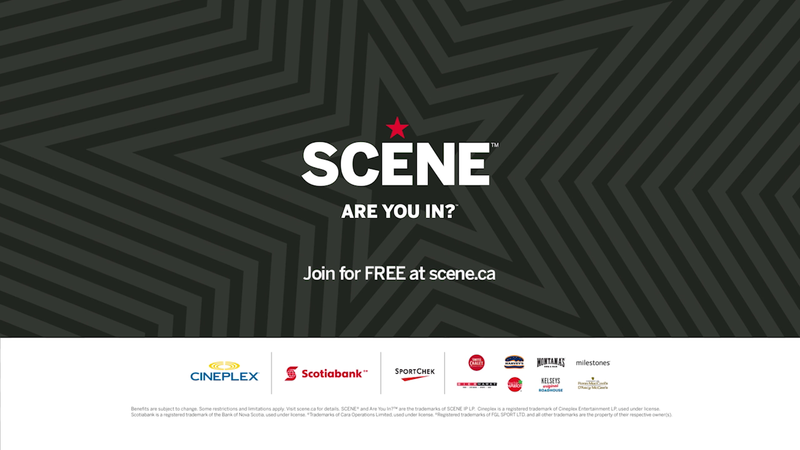 SCENE® points can only be redeemed at participating Cineplex Entertainment theatres, or online at scene.ca for other points offers (or rewards). Some conditions and limitations apply. Visit scene.ca for complete details. Normal Flash transaction limits apply. #Customers earn 1 point for every $1 spent on purchases made at Cineplex Entertainment theatres (versus 1 point for every $5 spent elsewhere) using the SCENE® ScotiaCard debit card linked to a SCENE® membership account. Customers earn 5 points for every $1 spent on purchases made at Cineplex Entertainment theatres (versus 1 point for every $1 spent elsewhere) using the SCENE® VISA card linked to a SCENE membership account. 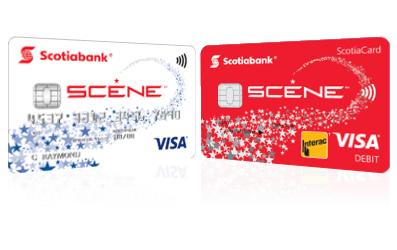 Points earned at Cineplex Entertainment theatres using the SCENE® ScotiaCard debit card or SCENE® VISA card will be updated within 2-3 business days. Maximum points per transaction are 300. Maximum daily points are 600. SCENE® points can only be redeemed at participating Cineplex Entertainment theatres or online at Cineplex.com or scene.ca for other points offers (or rewards). Some conditions apply. Visit scotiabank.com/scene for details. ^Present your membership card or enter your membership number at the time of transaction to earn or redeem SCENE® points within 90 days of joining SCENE® to receive 250 bonus SCENE® points. Any earn or redemption activity that uses the black SCENE® card or SCENE® membership number qualifies the member to receive the activation bonus points, including: purchase of movie tickets, a qualifying purchase at the Cineplex Store, purchase of a Gift Card that earns SCENE® points, a redemption for any reward item through scene.ca, a PIN code that earns SCENE® points entered into scene.ca. Offer is only available one time. If a SCENE® membership card is lost and a new account created and merged with the previous account, only one activation bonus (one instance of the 250 points) will be kept when the accounts are merged. Please note: the following activities do not qualify for receiving the activation bonus points: 10% discount off movie snacks; earning points on purchases made with a Scotiabank SCENE® debit or VISA card. Members who have provided a valid email address upon joining SCENE® will receive an email with details about this offer and the date by which they must earn or redeem points to receive the bonus points. If you have not received this information, please contact help@scene.ca. Offer is subject to change or may be withdrawn at any time, without notice. ▵Earn SCENE® points on the purchase of your movie ticket only. 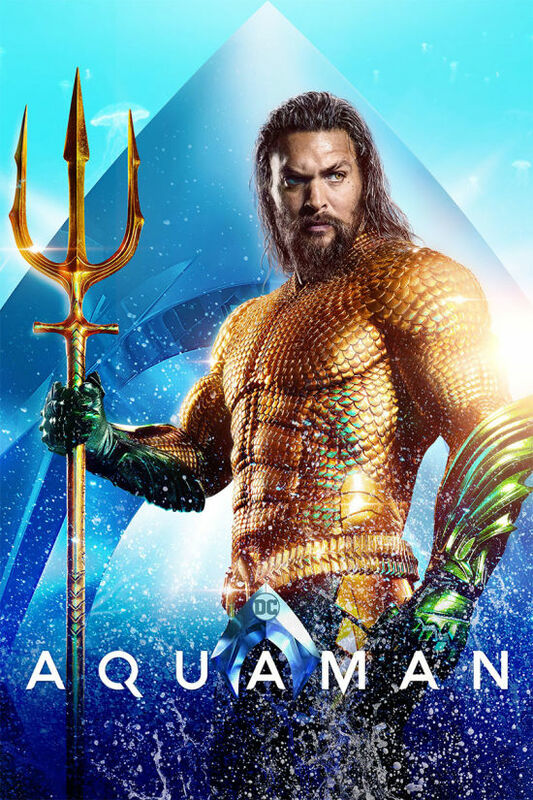 Members will earn 125 SCENE®points per adult transaction for a General Admission or 3D movie ticket in a regular auditorium, 200 SCENE®points per adult transaction for an Enhanced movie ticket (i.e., UltraAVX®, Prime Seats, IMAX®and DBOX, including those in 3D) and 250 SCENE® points per adult transaction for a VIP Cinemas™movie ticket. Maximum two transactions per day. If you are also purchasing a ticket for a child (under the age of 14), 65 SCENE® points will be issued per General Admission or 3D child’s ticket, 100 SCENE® points will be issued per Enhanced child’s ticket, with a maximum of two children’s tickets per transaction. See scene.ca/tickets for details. ^Offer available at participating Swiss Chalet, Harvey’s, Montana’s, Milestones, Bier Markt, East Side Mario’s, Kelseys, Fionn MacCool’s, D’Arcy McGee’s, Paddy Flaherty’s, and Tir nan Òg restaurants (the “Recipe Restaurants”). SCENE® members will earn 1 SCENE® point for every $3.00 spent on the purchase of food and beverages (excluding alcohol where required by law), less all taxes, gratuities and service or delivery charges. SCENE® members may redeem a minimum of 500 SCENE® points at Harvey’s for $5.00 off their bill or 1,000 SCENE® points at all other Recipe Restaurants for $10.00 off their bill, excluding alcohol and less all taxes, gratuities and service or delivery charges, to a maximum of $350. With the exception of Swiss Chalet and East Side Mario’s, points can only be earned and redeemed on dine-in and walk-in/take-out orders. For dine-in and walk-in/take-out orders only: SCENE® members must provide their membership number by presenting their black SCENE® membership card, temporary SCENE® card or mobile card, at time of payment in order to earn or redeem SCENE® points. Servers must be notified before ordering when multiple SCENE® membership cards are to be used per table. For Swiss Chalet and East Side Mario’s delivery orders: Members must enter their SCENE® membership number at the time of payment to earn or redeem SCENE® points. To redeem, you must select ‘SCENE® Card’ as your method of payment and then the amount you would like to redeem, in increments of $10.00. The selected amount will only be applied against the order subtotal (before tax and delivery fees) and a secondary form of payment will be required to pay for the balance of your order. Only one SCENE® membership card per check. 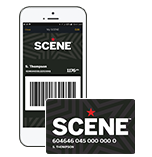 SCENE® membership cards are limited to earning SCENE® points on a maximum of three (3) transactions per day across all participating Recipe restaurants. Please visit scene.ca/dining for Terms and Conditions and a list of participating restaurants. ®Trademarks of Recipe Unlimited Corporation, used under license.